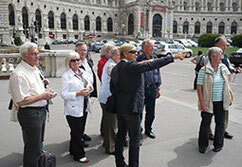 The tour starts close to the Opera building -allow yourself to be informed about the longstanding history of this old building. 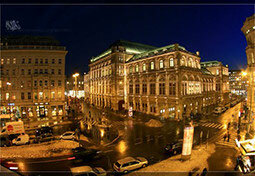 Subsequently we will cross the Albertinaplatz and we will walk down to the Imperial Palace. 16 wings, 17 inner courtyards, around 3000 rooms! We take a look into St Augustin church, which is as well part of the hugh palace and I will tell you incredible details and some unbelievable stories about the lives and the deaths of the empresses and emperors. 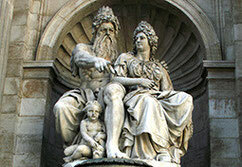 Don't miss Canovas memorial to Marie Christine! Outstanding! 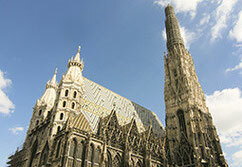 Next highlight will be the "Hofburgkapelle", where the Vienna boys choir perform Sunday morning since 1498. Also the imperial treasury, which houses the crown jewels and many more attractions, are on my list. Our way continuos through the Swiss Gate onto the Reichskanzleitrakt, where Francis Joseph and his wife Sisi lived. Once on the hero square, you will figure out personally, why so many people point out, "this is the most beautiful city world wide". But we still are on our way to the spanish riding school and I will introduce you the story of the world famous Lipizzan horses. 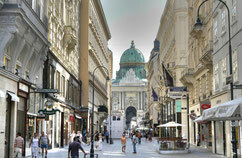 Afterwards we will walk along the Kohlmark, Vienna's most elegant shopping street and we will see if we can stay outside the Demel confectionery, which is famous for their delicious pastries. After seeing St Peters church and the plague column we will reach our final destination, the majestic Saint Stephen's Cathedral. 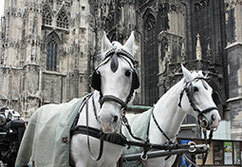 A tour to discover Vienna's major sights in the city-centre. You will love it!